It’s time to explore the horrible history of the world! From the Savage Stone Age to the Terrifying 20th Century, take a wild ride through over 4 million years of horrible history. With an incredible fold-out timeline that stretches over three metres and over 300 stickers! It’s the longest and most horrible sticker book in the world! 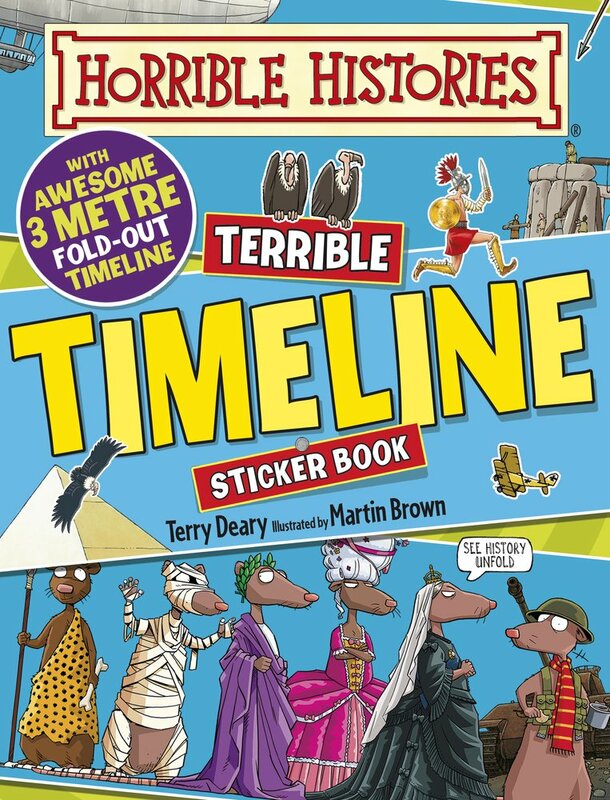 Part of a new series of HORRIBLE HISTORIES sticker activity books, crammed with foul facts and savage stickers.